Join the noisy foxes as they learn about home and belonging in this funny tale. 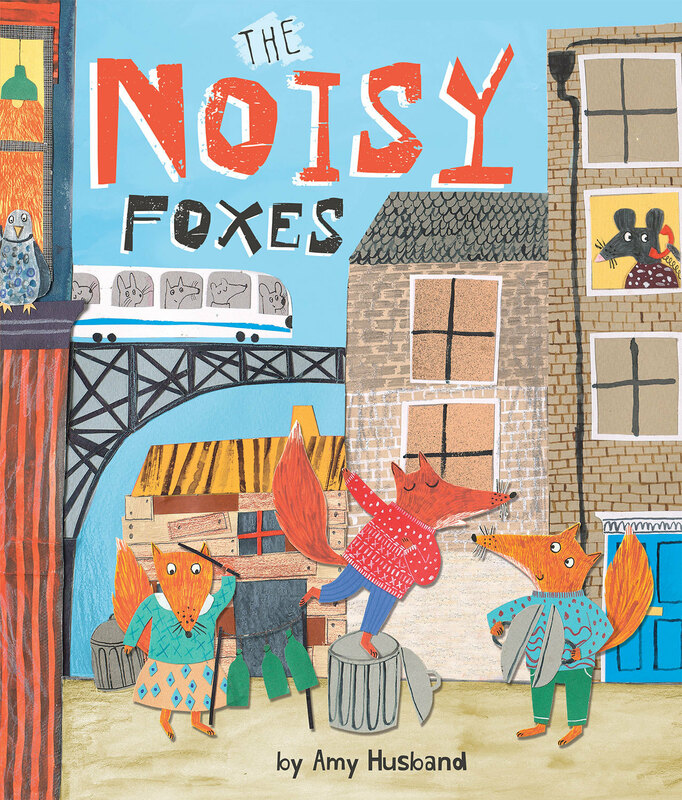 Written and illustrated by Amy Husband, The Noisy Foxes follows a family of foxes who decide to move out of the big, noisy city to look for somewhere quieter to live ... but nowhere seems quite right! Distinctive collage style illustrations add to the charm of this humorous 'grass isn't always greener' tale. Follow the foxes' journey and discover that 'there's no place like home' in this humorous and colourful story. Amy is a former winner of the Cambridge Children's Book Prize. Award-winning illustrator, Amy Husband, graduated from Liverpool School of Art in 2006, where she gained a BA in Graphic Art. Whilst she was there she developed a passion for children's picture books and set her heart on a career as an illustrator. Amy's first book 'Dear Miss' was voted the winner of the Cambridgeshire Children's Picture Book Award 2010. She has now tried her hand at writing and 'The Noisy Foxes' is the outcome.